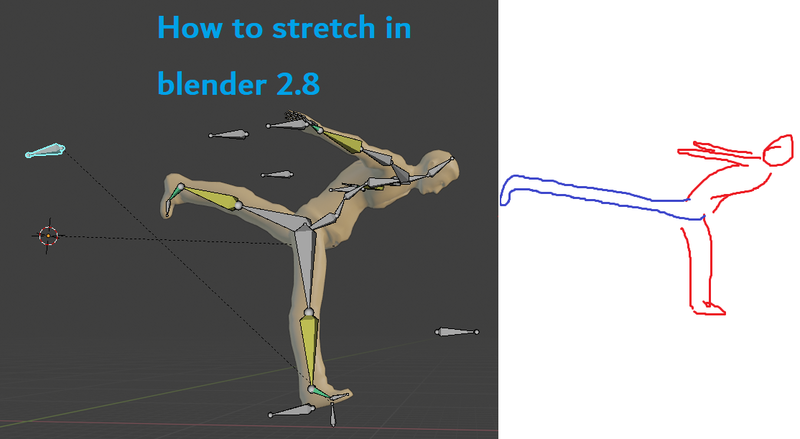 in blender 2.7 we have Autostretch Ik for stretching ik and not stretching it, but I can't find it in 2.8. I want this result: please see the picture. Select the bone you want to stretch and set its amount of stretch. The amount is calculated in relation to other bones which have some, so if only one bone has some stretch, even a little value leads to a total stretch. 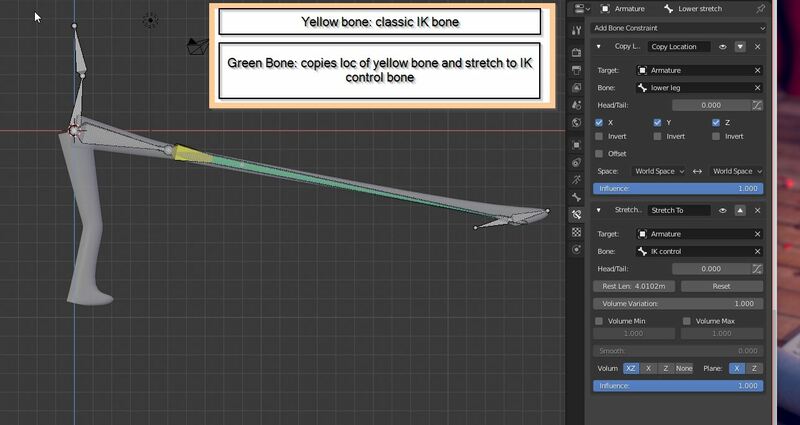 If you want a "Squash and stretch" behaviour you can duplicate the lower leg bone, put off the IK constraint, add a copy loc constraint pointing at the IK constrainded bone and then add a stretch to constraint, pointing at the ik controller (foot) bone. 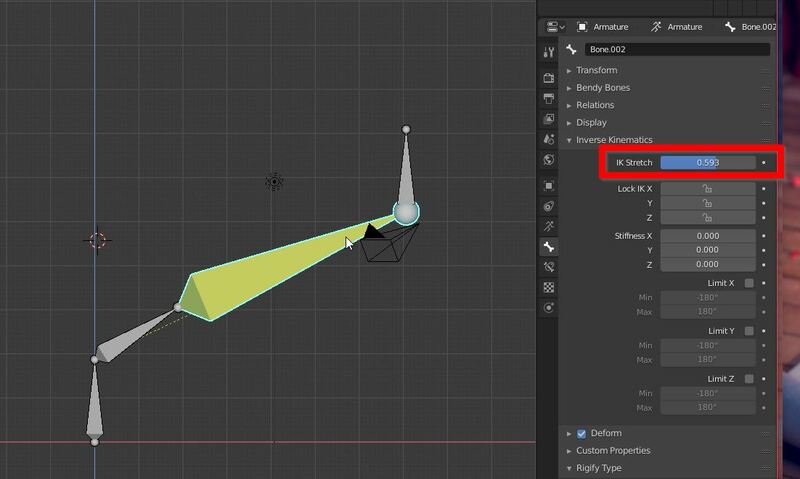 Set the IK bone as non deforming, and use the stretch to instead. Not the answer you're looking for? Browse other questions tagged rigging armature bones pose-mode inverse-kinematics or ask your own question.